How to plot the attention weights...? Is there any example code for visualizing the GAT? Below is a variant of the code I used for plotting attentions over graphs. You may treat it as a starting point for your own use. Visualize edge attentions by coloring edges on the graph. be None. If None, all nodes will be plot. should contain labels for all nodes to be plot. be None. If None, all edges will be plot. Default to be None. 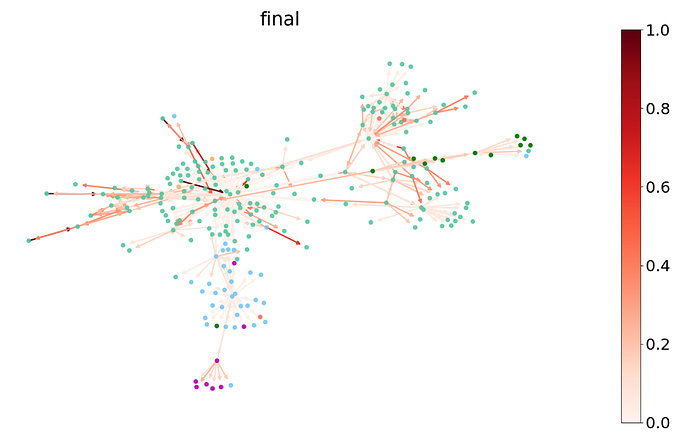 Specifies the layout of nodes on the plot. bigger than number of node classes in nodes_labels. Specifies the colormap to be used for coloring edges. Ok, thanks for your reply and I will try your code.